Odie’s Eclipse Maps will get you close to the central line of the moon’s umbral shadow, where totality is visible. 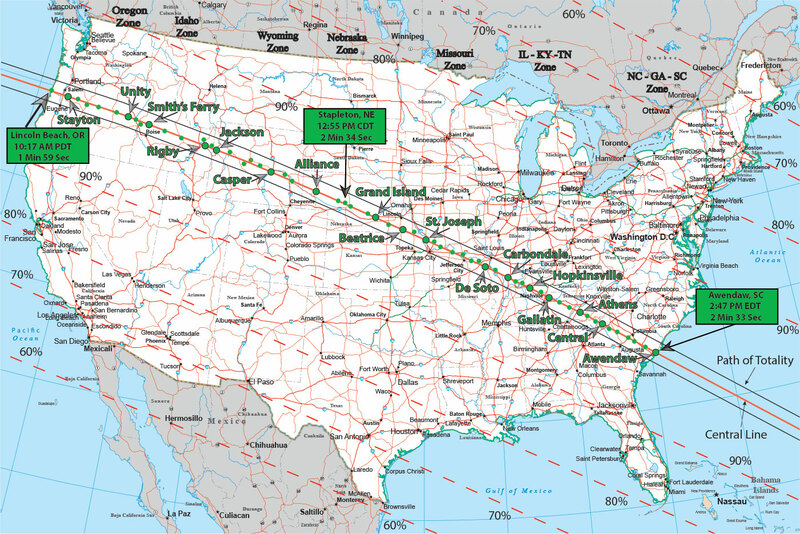 The individual state maps will show you Jump in the Line locations that are prime spots for maximum viewing of totality and should be considered targeted areas for viewing. Please be a considerate eclipse viewer and do not trespass on private property without permission. Avoid pulling off to the shoulder of interstates and major state highways. Do so on rural roads only when appropriate and the right of way is not blocked.